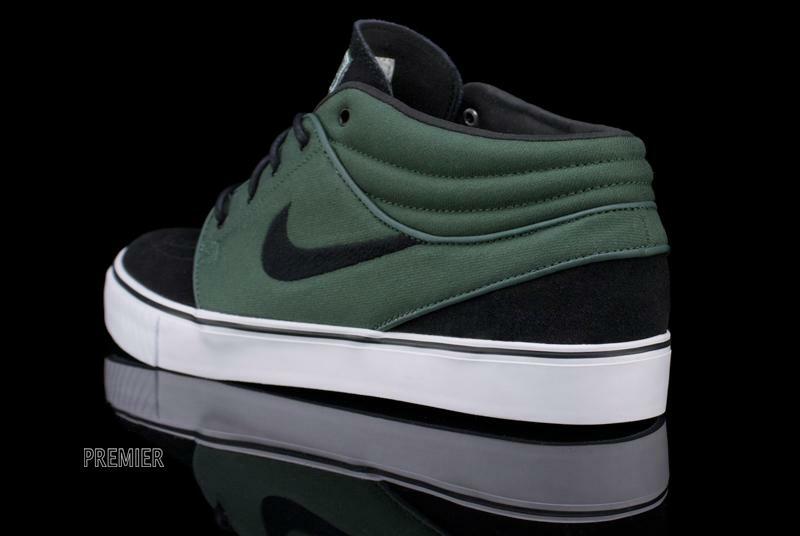 Nori green adorns another Nike sneaker this season, this time on a suede and canvas Zoom Janoski Mid. Nori. Not just for wrapping sushi anymore. 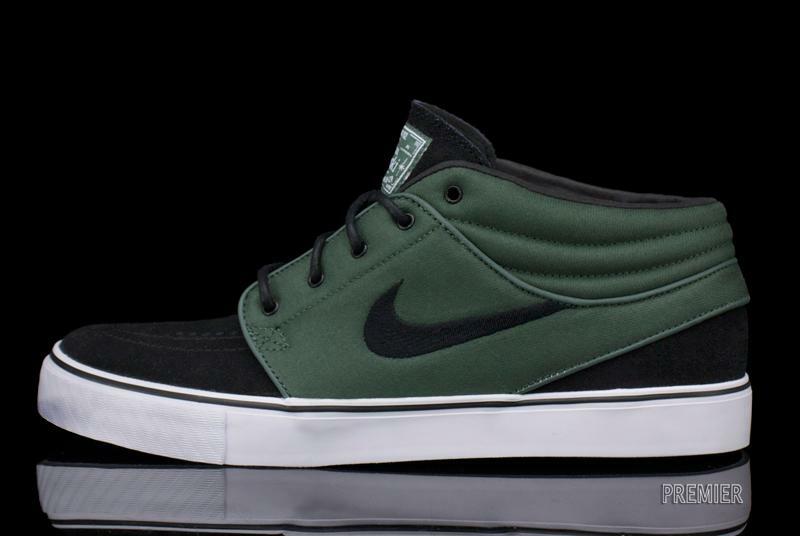 The shade of green adorns another Nike sneaker this season, this time on the Zoom Stefan Janoski Mid. 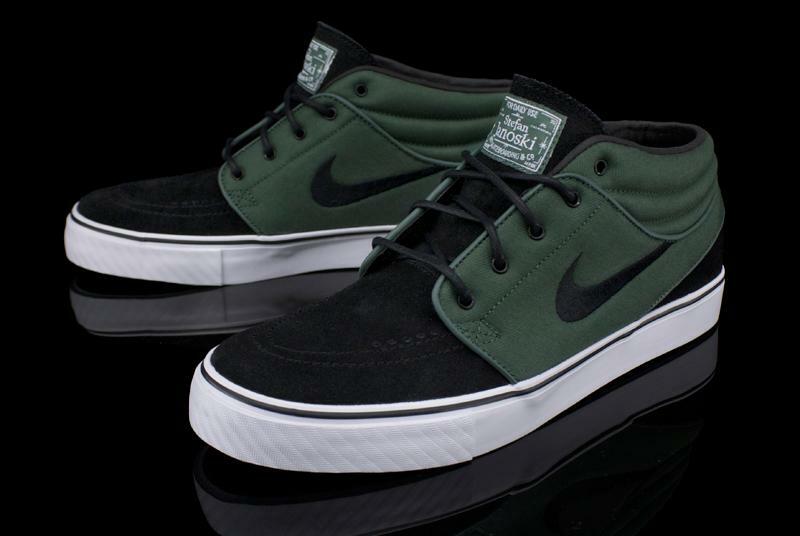 The Nori / Black / White Janoski features a canvas and suede upper on a vulcanized sole. Zoom Air provides lightweight cushioning. 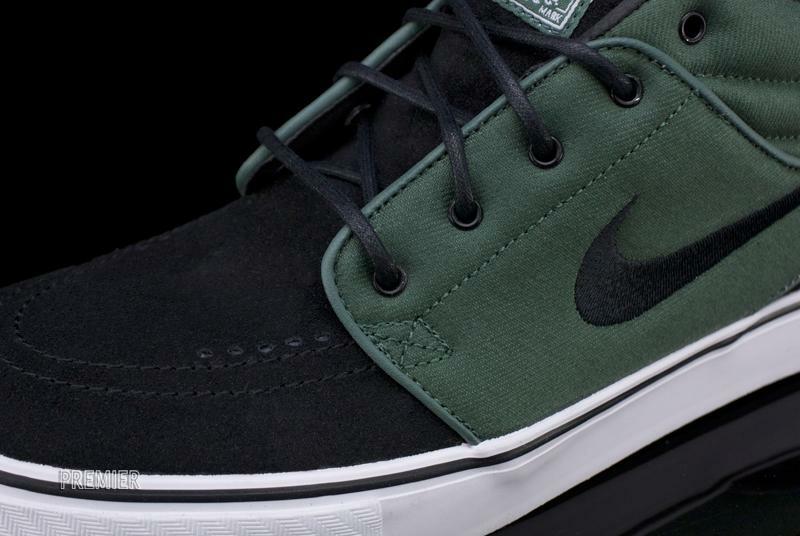 The Nori Nike SB Zoom Stefan Janoski Mid is available now at Nike SB retailers, including online at Premier.